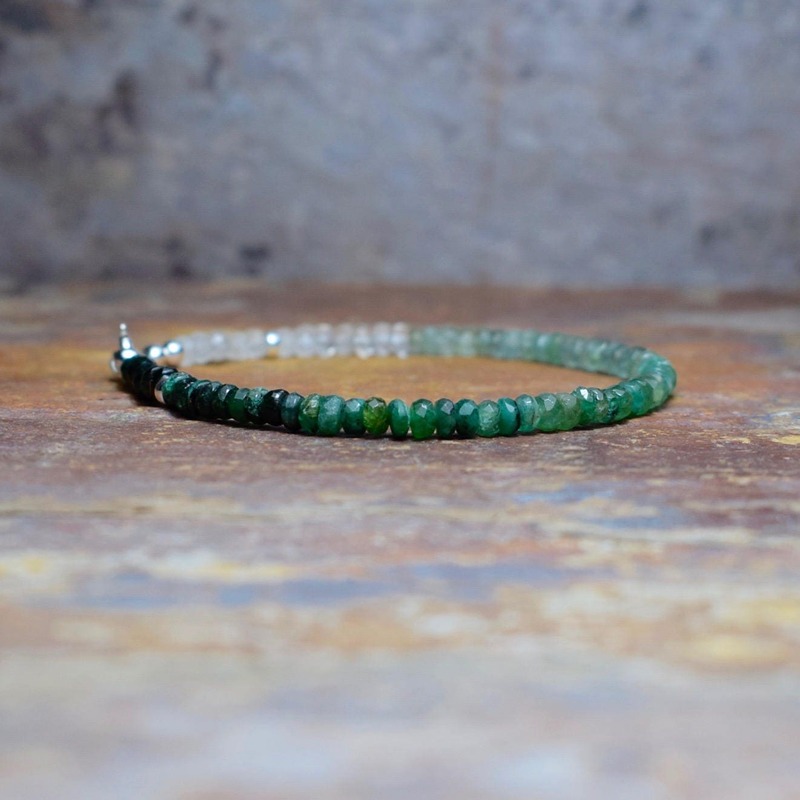 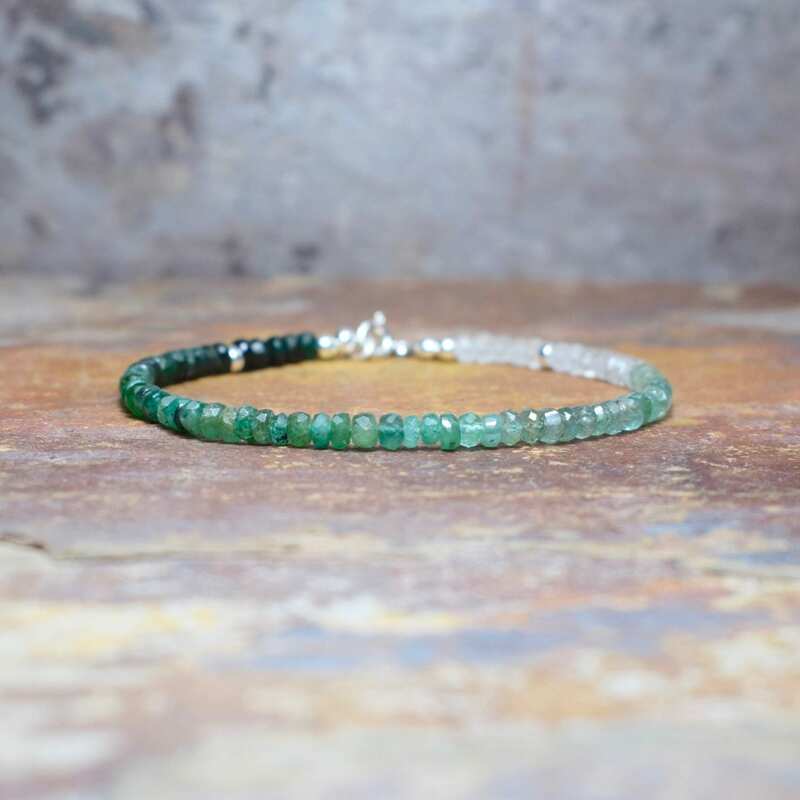 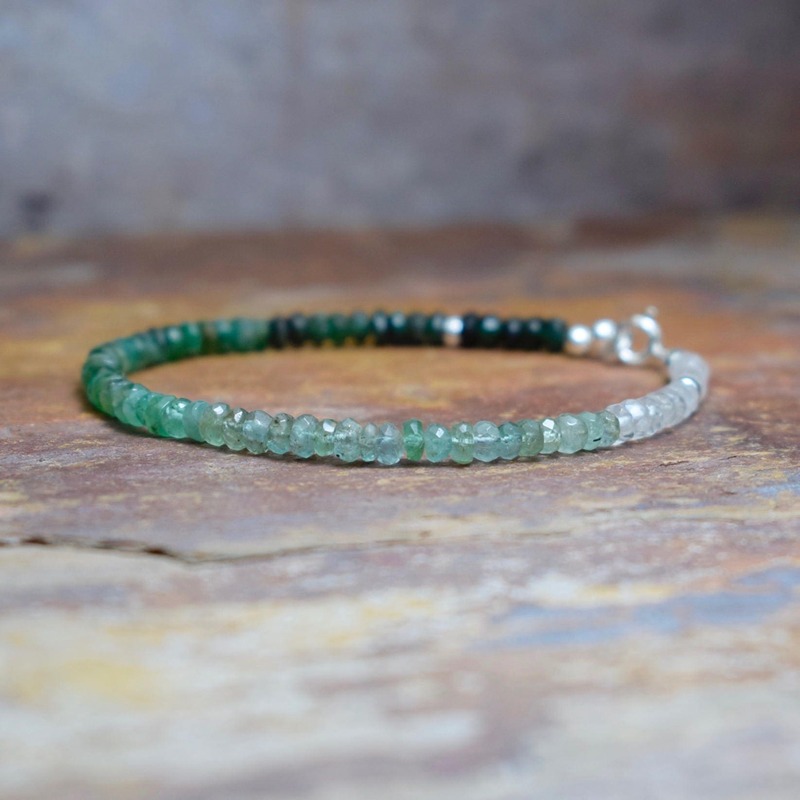 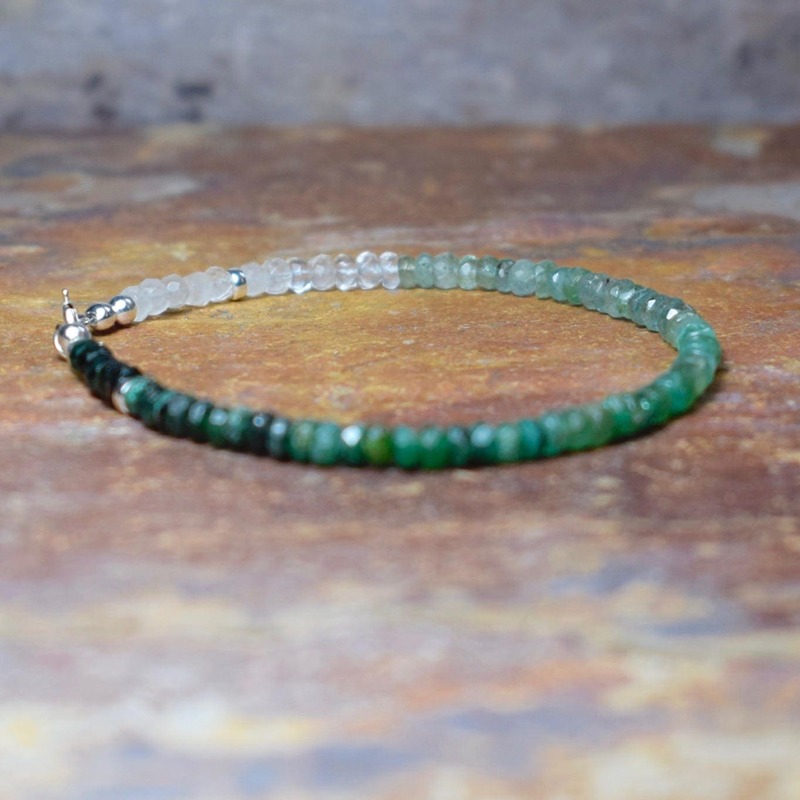 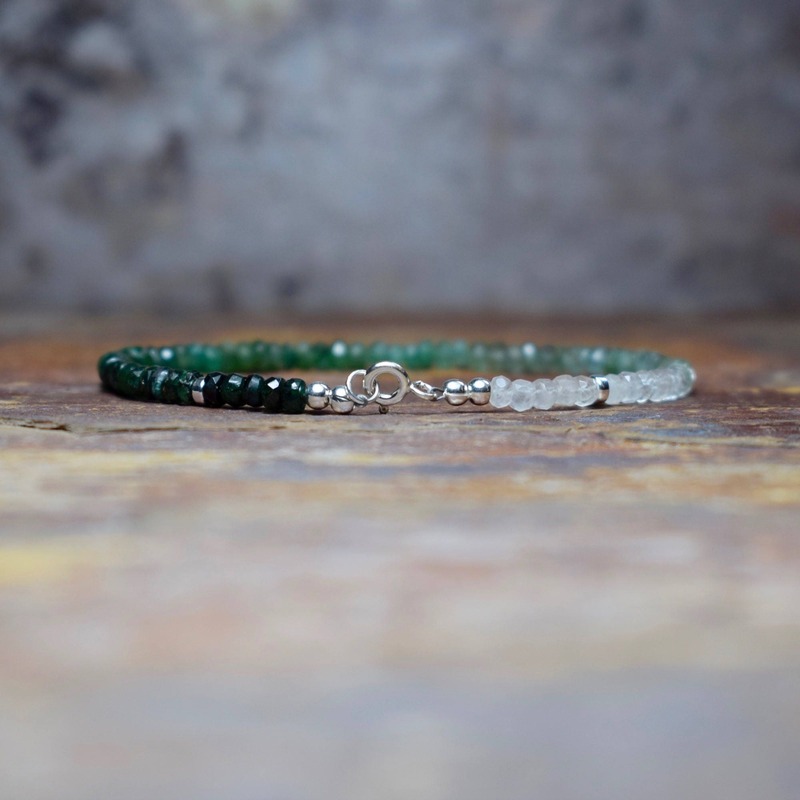 A beautiful Emerald bracelet, designed with vibrant Emerald rondelles that have been strung in graduated tones from dark to light green through to crystal white and finished with a Sterling Silver Lobster clasp. 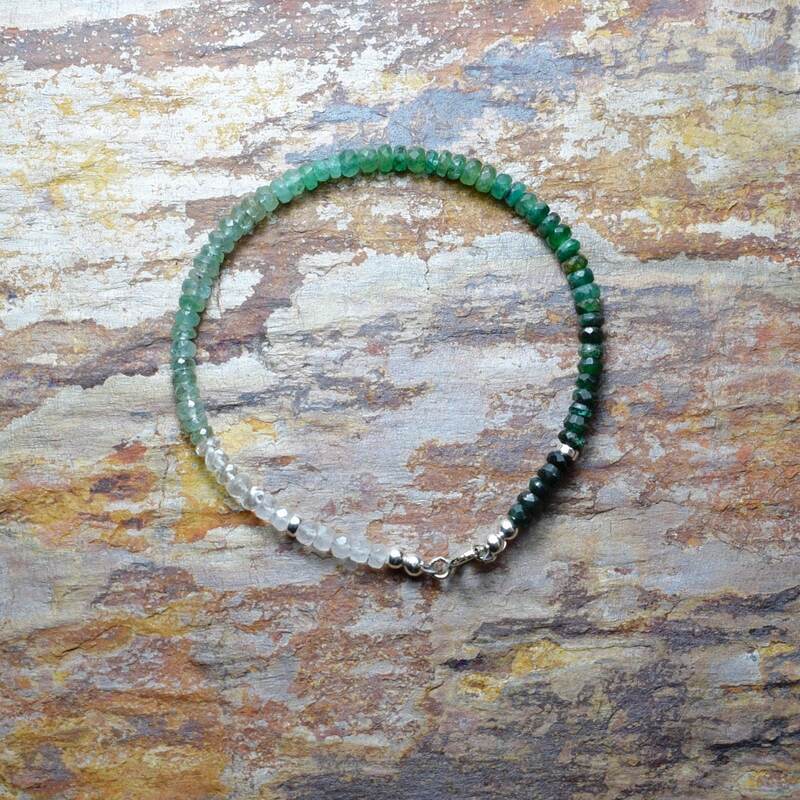 * The Emerald beads measure 3.5-4mm. 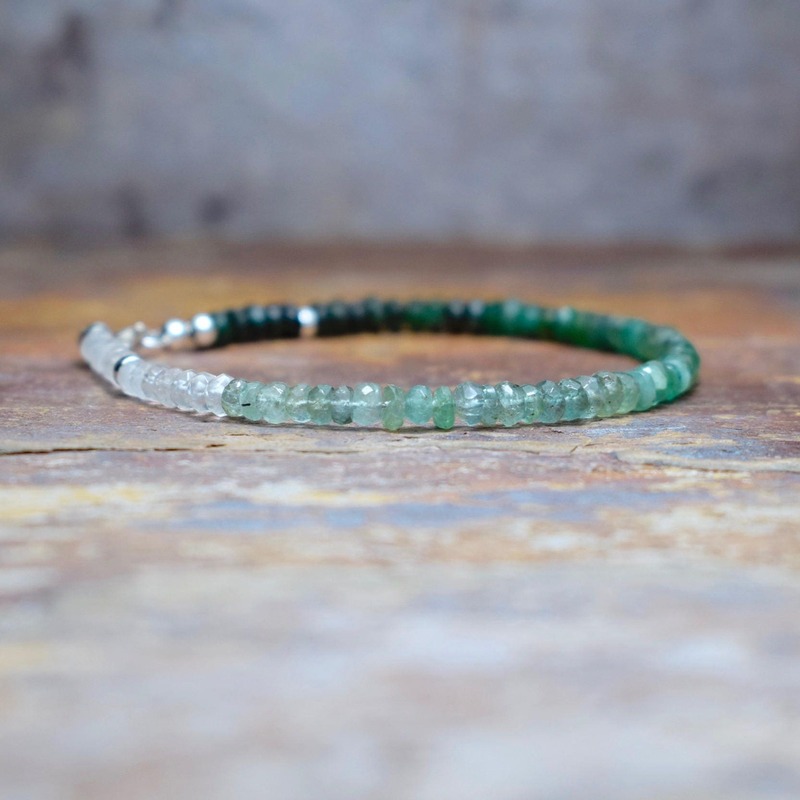 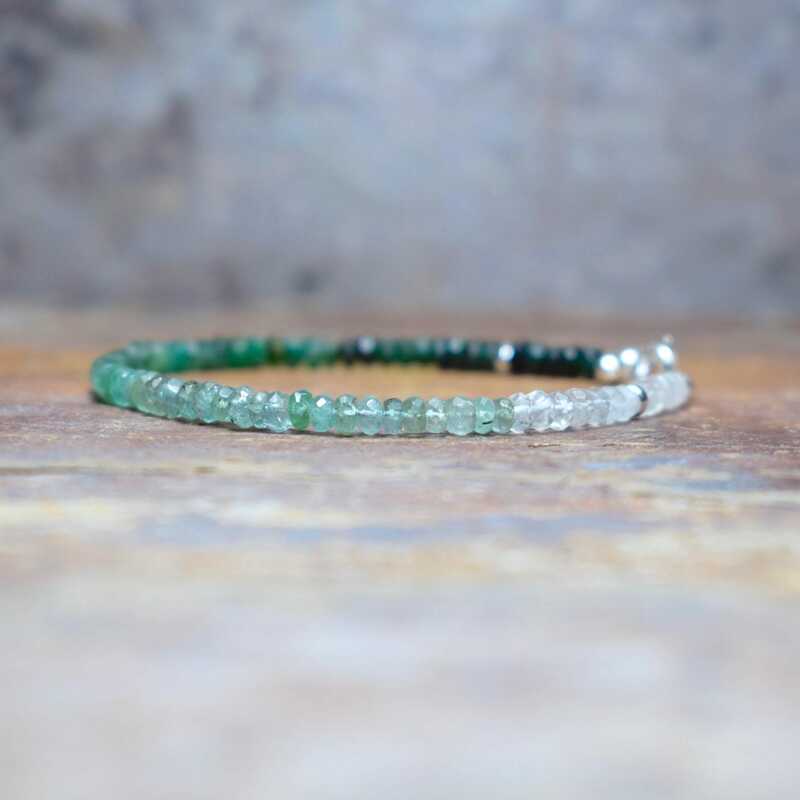 ♥︎ Emerald is said to be the stone of the heart because it represents compassion, and universal love and is believed to increase the energy levels in your body and enhance the energy flow between the lower and upper chakras.